Image: Twine and supporters ringing the NASDAQ closing bell. Photography by Christopher Galluzzo / Nasdaq, Inc.
As this year’s Wharton Startup Challenge gears up, Joseph Quan, WG’17, who with classmate Nikhil Srivastava co-founded last year’s Grand Prize winner Twine, shares a few tips after returning to Wharton for the People Analytics Conference. Joseph Quan, CEO and co-founder of Twine Labs, keeps a gong in the office. Whenever the people analytics software company signs a new client, every team member rings it. It’s been noisy at Twine lately. The gong recalls one of Twine’s biggest moments — when Joseph, co-founder and CTO Nikhil Srivastava, and a contingency of Wharton supporters rang the NASDAQ closing bell, in honor of their grand prize win in the inaugural Wharton Startup Showcase in 2017. Twine is a people analytics startup that makes it easy for executives to make better decisions based on the plethora of underutilized HR data sitting within their company. 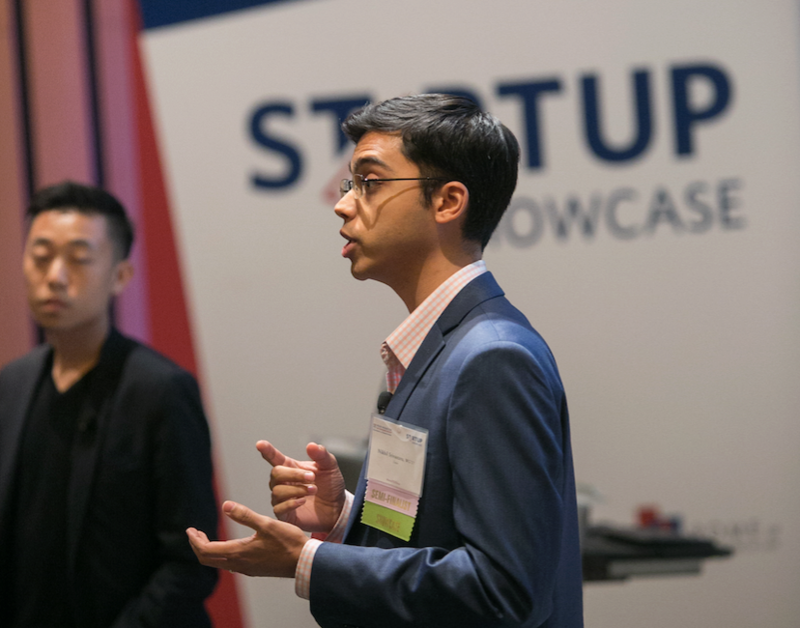 A year after its relaunch, the Wharton Startup Showcase is gearing up with a new set of semifinalists and Joseph was back at Wharton for the People Analytics Conference, this time as an entrepreneur who just closed around of funding. He said it feels like a different experience. 2. Use the resources available. 3. To succeed as an MBA entrepreneur, you have to commit.